I know! It isn't October! 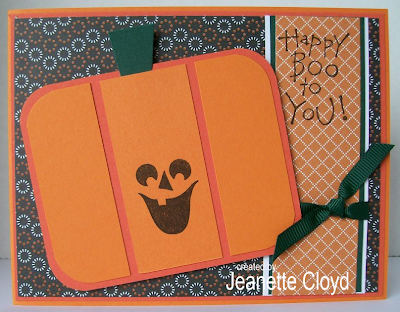 It isn't almost Halloween! It isn't time for Jack-o-Lanterns. Don't blame me for this out-of-season post. Blame Barb! (Yes, Barb, I'm talking about you again here in my blog. LOL!) She posted a swap called What's In a Letter. 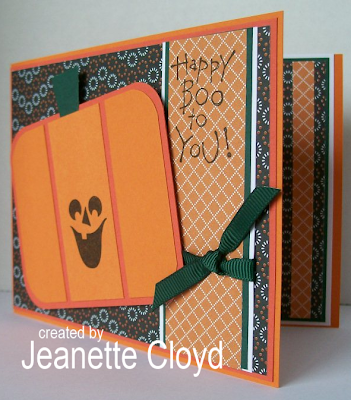 The premise is that you are to take the first letter of your name and create a card with something that starts with the same letter. hmmmmmmmmmmm... My name in Jeanette. "J" Yep... I went with Jack-o-Lanterns. I recently saw a punch art card while searching the internet for inspiration. I wish I could find it again, so I could give credit to the person who inspired me. 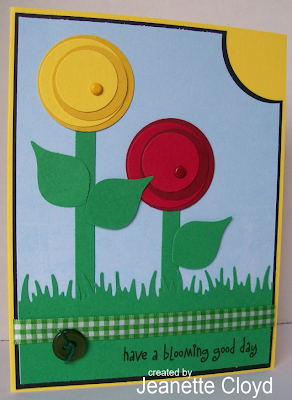 The card had flowers made out of circle punches. 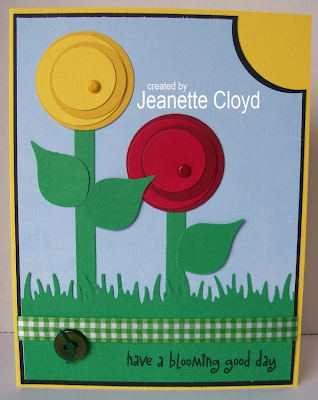 I decided I just HAD to make those flowers. 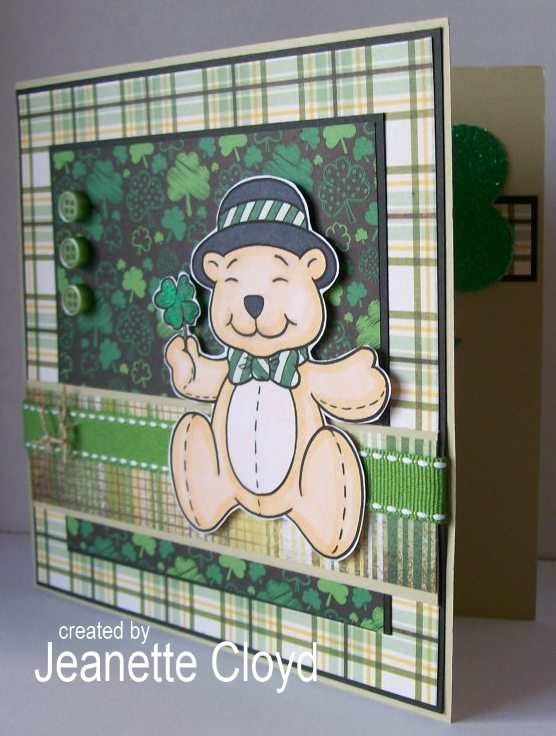 And what better reason than for Paola's Punch Art card swap on SCS. 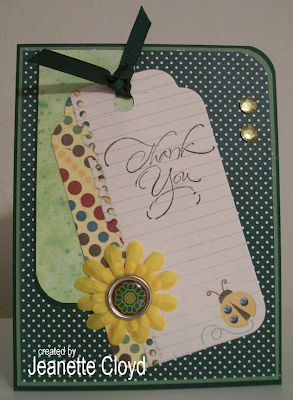 I also used a punch to remove the top right corner of the layers on the card front, to reveal some bright yellow sunshine. And of course the flowers needed a bed of grass in which to reside, so I used a Martha Stewart grass punch to create t hat. 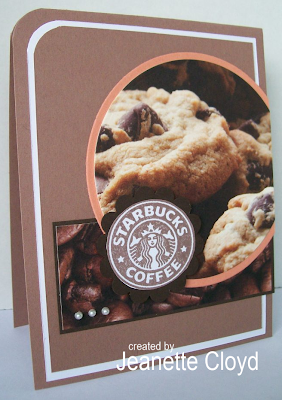 I hope Paola loves getting flowers, because these cards are on their way to her house right now. 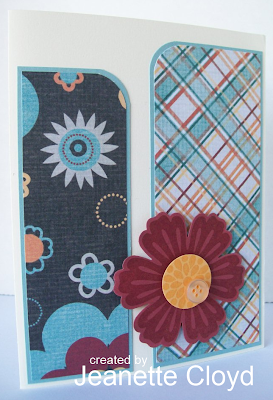 Those of you who know follow my blog or hang out with me on SCS know that I'm a card-making kind of gal. I might venture into a little bit of scrapbooking - pretty simple layouts - but I very VERY rarely do anything like altered projects. It's not that I don't like them. I do. It's just that I'm never really sure what to make... and then what to do with it once I've made it. LOL! 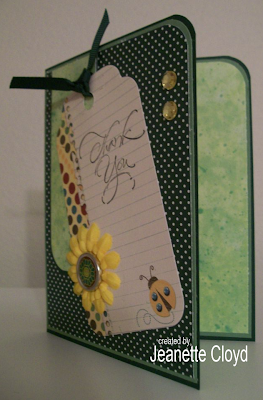 I do know how to write a note in a card and mail to to a friend or family member, etc. 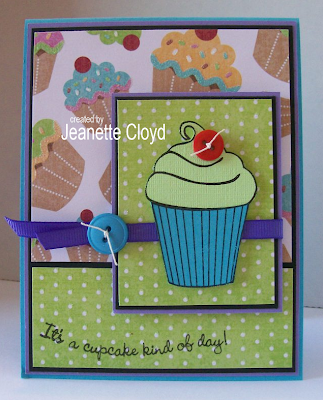 So I typically stick to making cards. Well............. look what I made! It's NOT a card! It's what we'd call ABAC (Anything But A Card). 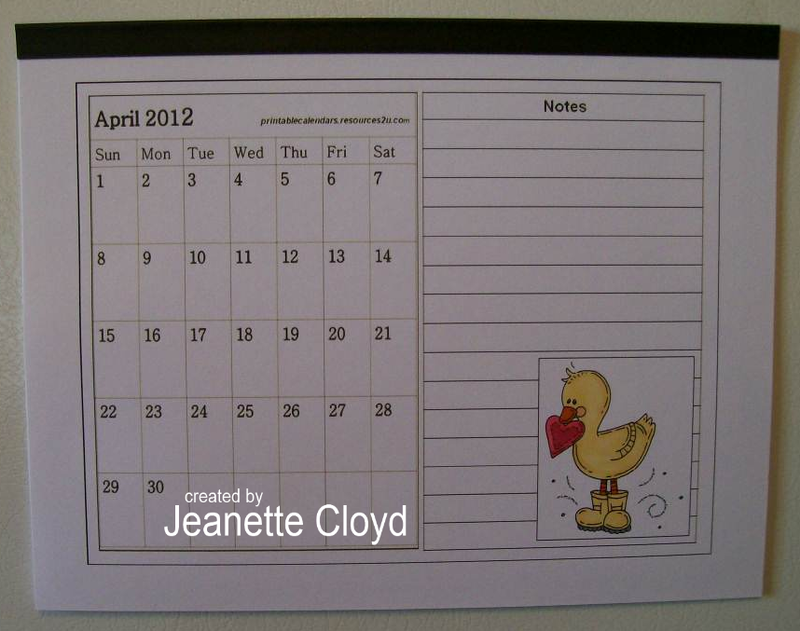 It is a calendar page. The proud sponsor for this challenge is Meljen's Designs! 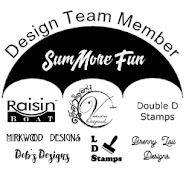 Thank you, Meljen's Designs, for providing the prize package for one lucky participant, and for giving the design team an image to work with, too!!! 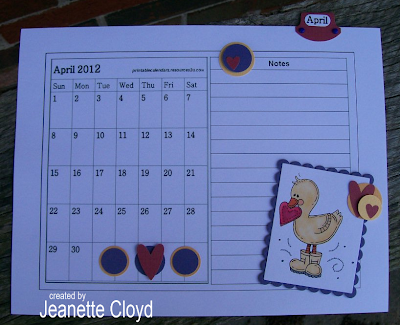 My calendar page has the adorable Love Duck image (Meljen's Designs). 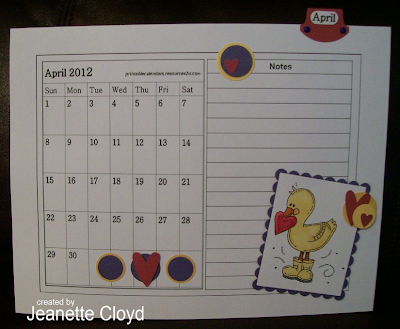 I also used a free downloadable calendar page that I found online. 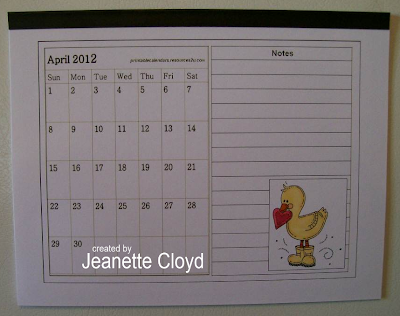 I did this calendar page in layers. 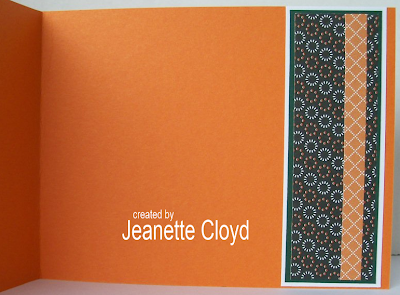 I printed the image and cut it out with a Nestability, then layered it onto another Nestabilty cut. 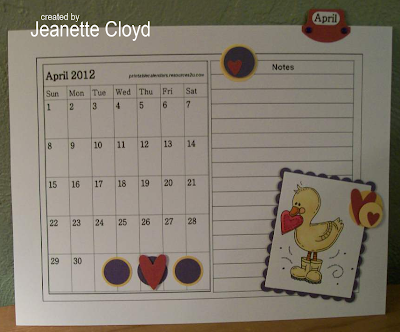 I added punched elements to the calendar, too. It's a functional project, but does have a little bit of depth to it. That works for some calendar pages, but others need to be flat, one-layer sorts of calendars... so I got to playing around in Microsoft Word. I put the calendar on the page and then opened a text box in the lower right-hand corner. I then inserted the Meljen's Designs Love Duck into that text box. It worked perfectly. 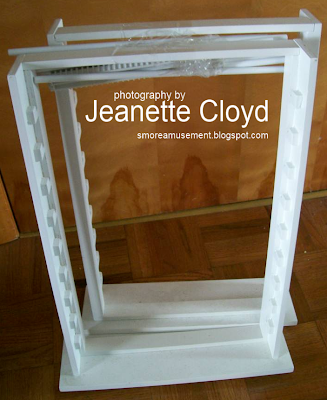 I took one of the plastic pieces that is used to hold several pages together in a document. You know the sort of thing. 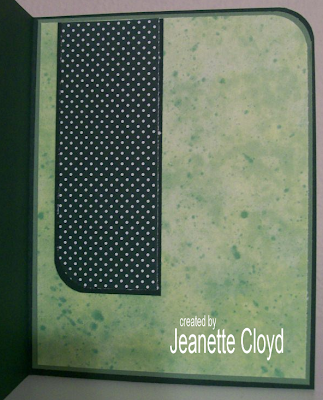 It comes with a clear acetate cover. 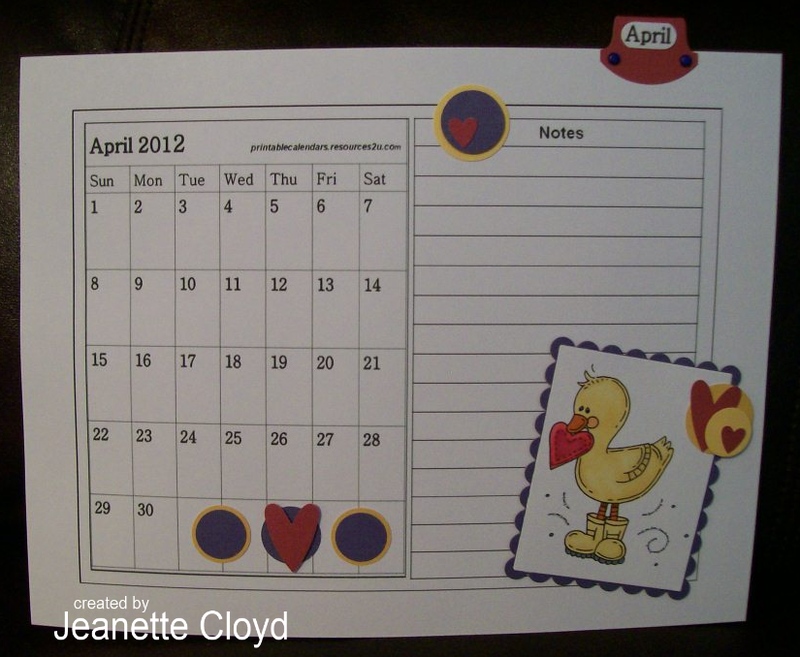 I put a strip of magnet on the back of the plastic piece, making it possible to stick this calendar on the refrigerator, where it will be both cute and handy. No, it isn't my birthday, but the Calendar Girls (who post on the 28th of every month) have been challenged to celebrate our birthdays today. 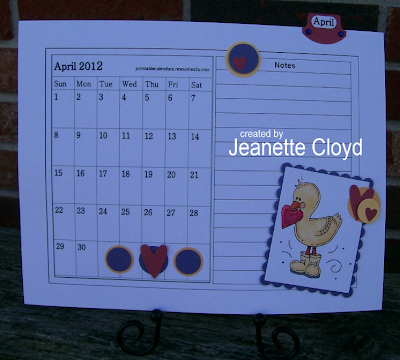 April (Miss March) is our hostess this month. 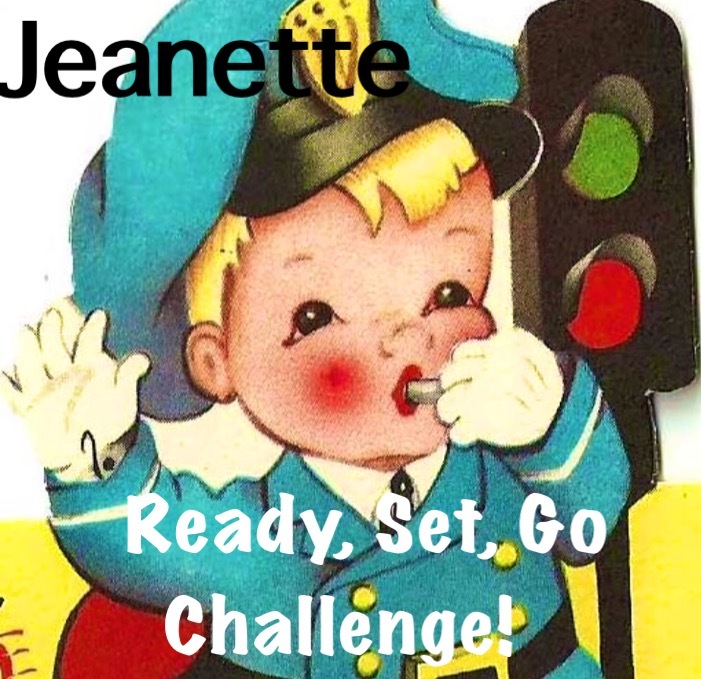 When she posted her challenge, I was a bit stressed......... and a bit challenged. Tee Hee! (I guess that's the point of a challenge, right?) 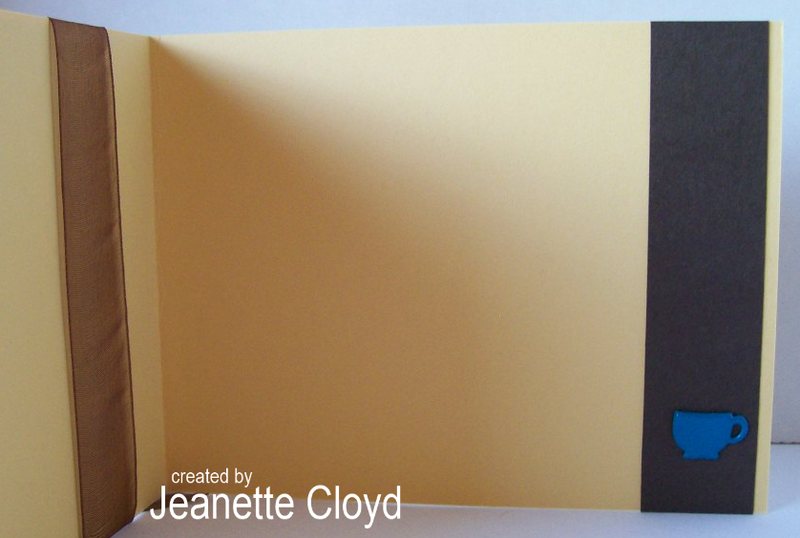 In April's words: I want you to make a birthday card based on your date of birth. I would love you to use two parts of your birthdate and use the corresponding color and sketch challenges available on the [SCS] forums. Okay, that presented a problem... since I regularly lie about my age. I always say I'm 17, so there's no way that I'm revealing what year I was born. (Barb, don't even try to get me to do that.) Therefore, I only had two numbers to work with. I'm mathematically challenged or I guess I could have figured out what year I would have been born in if I truly were 17, but hey! That is just TOO much work, which would have taken time away from my crafting time. So I went with the numbers 10 (October) and 26. 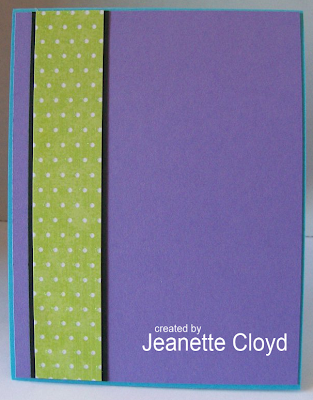 ... and the colors from Challenge #26, which are Tempting Turquoise, Gable Green, and Lavendar Lace. 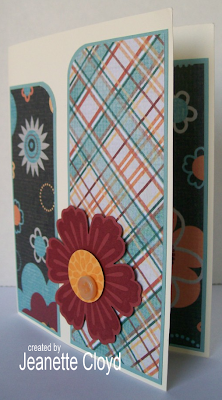 As you can see, I decorated the inside of my card, but I didn't put a Happy Birthday sentiment there. I could have, but since I'm also using this card in a swap I'm in on SCS (Barb's What's In a Letter Swap - the Letter L = Lavendar), I didn't think the birthday sentiment seemed appropriate. I'm sorry, April. I hope you don't mind. 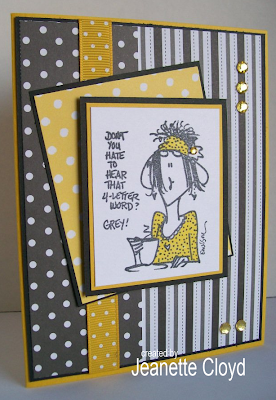 Now let's be sure and check out the birthday cards that my fellow Calendar Girls made. You can find the links to their blogs in my left side bar. Be sure to wish them a Happy Birthday - oh, wait! That's not right, since it isn't their birthdays either. Instead, leave them a comment and tell them how awesome their card is, okay? Thanks for stopping by. Come on over to my house and we'll have cake and ice cream to celebrate my birthday. I love going to thrift stores. Since I lost so much weight in 2010, I have found it to be an economical way to clothe myself. 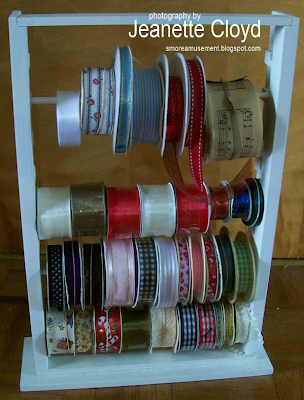 But I also love looking for treasures to use in my crafting as well as things for my home. I actually make it a practice to go to a favorite thrift store here in my town every week. It's run by the Career Development Center (CDC) which employs disabled people. My son works for the CDC, though not at their thrift store, so I like that I can support his employer with my thrifty purchases. Granted, I have no clue what "this" is, but I saw potential in it. Remember from a previous blog post, I found a CD/DVD stand at this same thrift store and now use it for my larger paper punches storage. 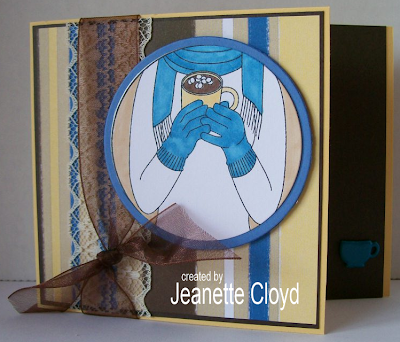 If you missed that blog post, click here to see how it looks. I carefully unwrapped the packing tape and assembled these two items. hmmmmmm... I still think my plan might work. 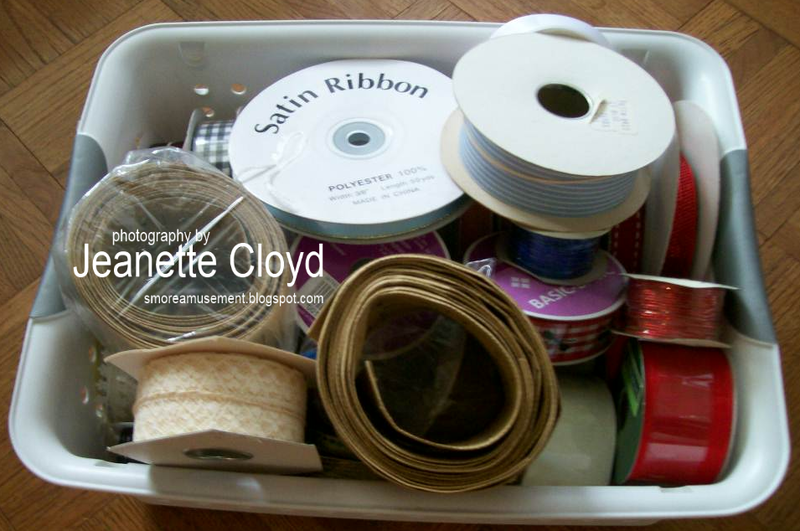 I retrieved the storage bin of larger rolls of ribbon (the ones that had too much yardage on them to put in those little drawer units where I organized all my ribbon). I'm so excited!!! My idea worked! As you've probably noticed, I love to color. My Copics are my prized possession (if the house were on fire, and my family safe, I'd grab my Copics, family photos, and my pillow and dash to safety. LOL!) 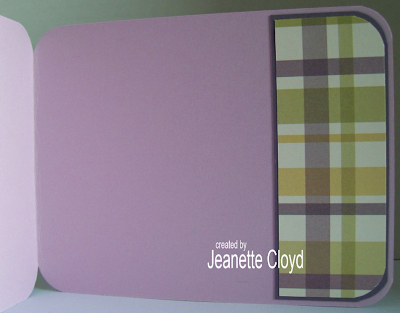 I rarely make a card that doesn't contain an image to color. That being said, I remember, way back when. 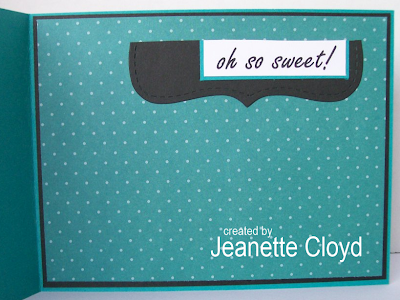 When I first started making cards, I was a Stampin' UP! images, ink, etc. kind of girl. I didn't even know about coloring images back then. I know... GASP! Soooooooooooo for this card, I decided to go back to my first love (no coloring)... and I had so much fun! I am part of a group of online swappers known as the Mystery Card Swap. Every other month, a different lady from the group serves as the hostess, which means she gets to choose the stamp we use for that round. 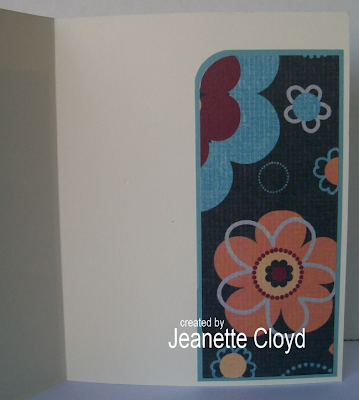 She stamps images and we all get them, so we are all making cards with the same image. 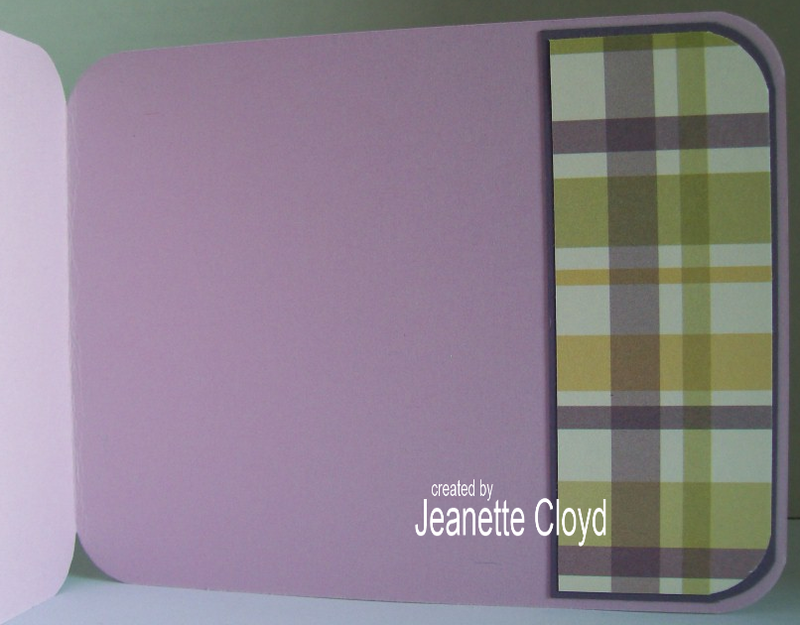 It's really fun to see how different all of the cards turn out. Linda (gimmeahaller on SCS) is the hostess this round. 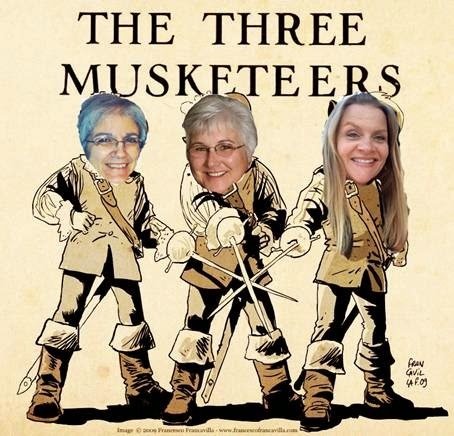 She sent us the awesome My Favorite Things image, as well as some desinger paper from Close to My Heart. The bright blue cup in the lower corner is a brad. 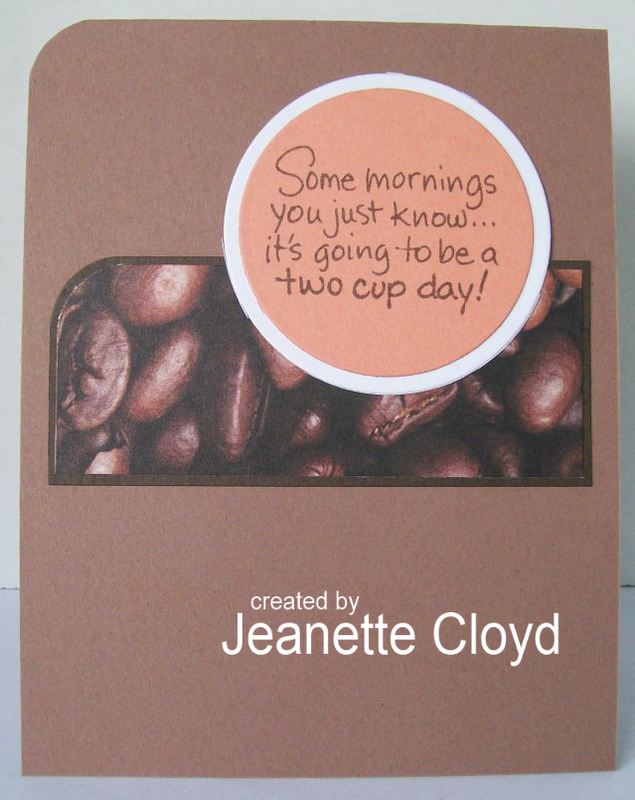 I never tire of using the wonderful Starbuck's rubber stamp that my online friend Joan gave me. It is just such fun! 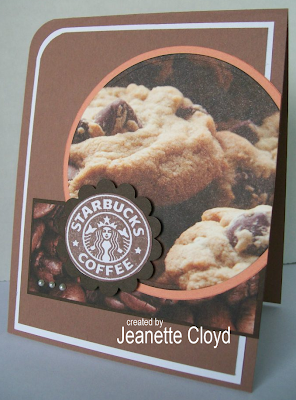 On this card, I used some coffee bean designer paper as well as some designer paper of chocolate chip cookies. Caffeine at its best! I have two blog posts today. 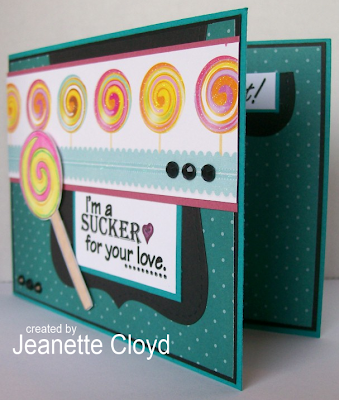 This Craft Us Crazy Challenge post and the Dueling Darling one that follows it. I hope you'll enjoy them both. The Cutting Cafe is the proud sponsor of this challenge! 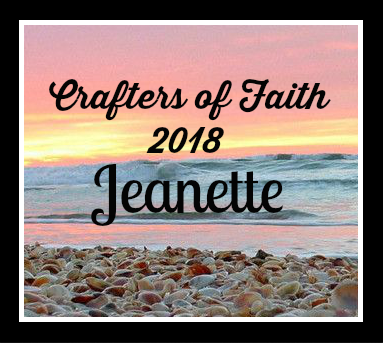 Not only have they donated a wonderful prize package for one challenge participant, they also gave the Craft Us Crazy design team images to work with. THANK YOU, Cutting Cafe!!! 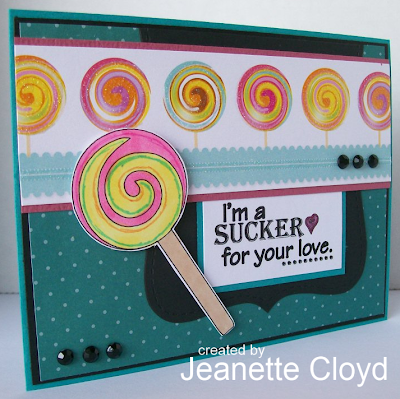 I used the sucker image and coordinating sentiment from The Cutting Cafe Sweet Stuff set for my card. 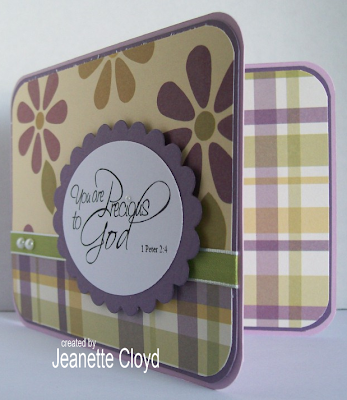 Please join the fun at Craft Us Crazy for this Something Sweet and/or Easter/Religious Challenge! All That Glitters Is Not Gold... 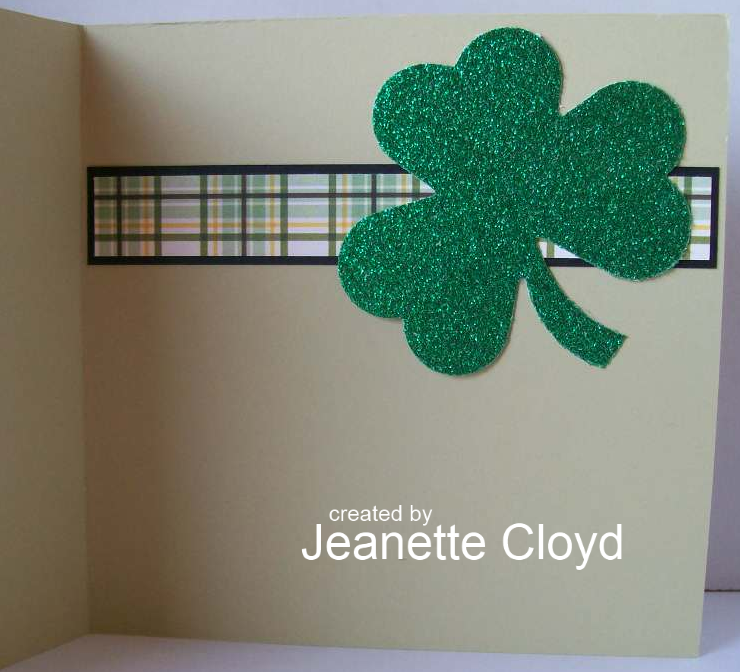 It's Dazzling Shamrocks! It's time! It's time!!! Time Dueling Darling time!!! On the 15th of every month the Divas and the Dazzlers get to show off their theme-appropriate creations. This month, Michelle was the hostess for the Dazzlers and Barb was the hostess for the Divas. They chose a St. Patrick's Day theme. 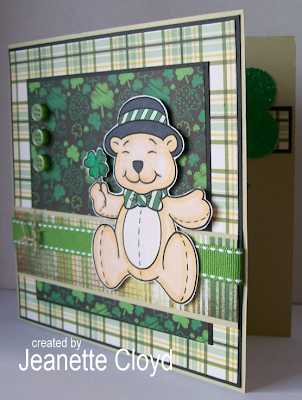 Michelle's kit ws full of so many fun items, including designer papers, embellishments, and even an Irish Blessing. 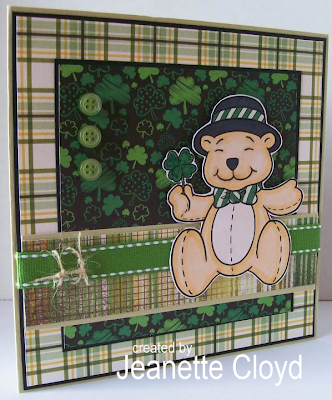 She told us we could add an image of our choice, so I went with a freebie digital coloring book page that she gave us the link for and printed out the adorable little St. Patty's Day Bear. Isn't he cute??? Michelle also challenges us to describe any St. Patrick's Day traditions that we have. Hmmmmmm... I thought... and thought... and thought some more........ and came up with NOTHING! I guess there's not an Irish bone in my body, because I usually don't even remember to wear green on St. Patrick's Day, and I don't like corned beef (though I do like cabbage). I'm sorry, Michelle. I hope I don't get kicked out of the Dueling Darlings over this! Twisted Tuesday Challenges are Coming Soon! Have you heard??? There's a BRAND NEW challenge blog out there! It was just posted yesterday... by none other than Melina! She's a wonderfully gifted online friend. 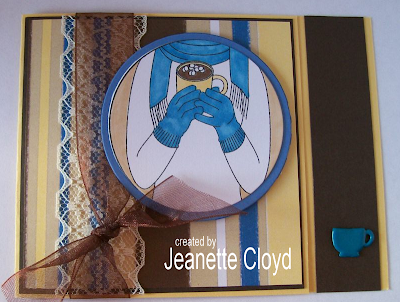 I always admire her card-making skills. I tell you, she is the best at CAS cards... and I say that with the utmost respect because I truthfully think CAS cards are the most difficult ones to do well. Anyway, I am excited about her new Challenge Blog... and equally excited that she's asked me to be part of the adventure with her! WOW! THANK YOU, Melina!!! 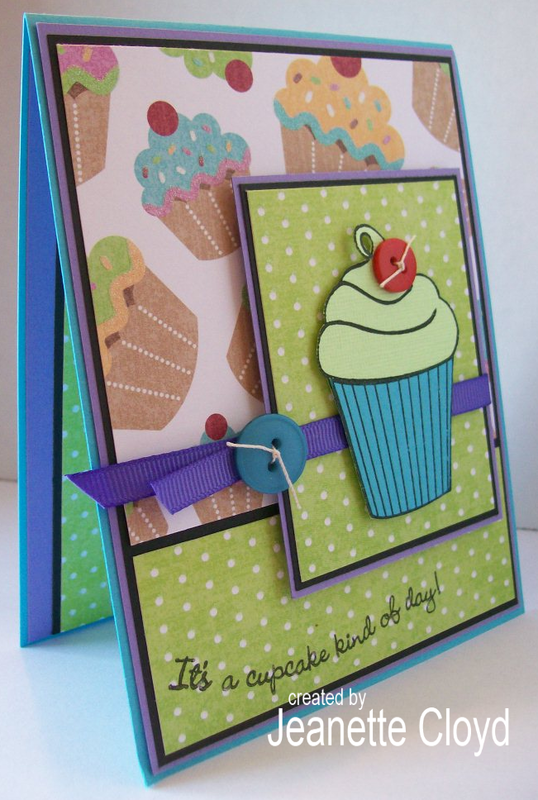 There will be a new challenge posted on the Twisted Tuesday Challenge blog. In Melina's words, it will be a "basic" challenge along with a twist. Hmmmmmm... doesn't that sound fun!?!?! I wonder what Melina has in store for us? Oh, and she's looking for two more design team members, so be sure to go to the Twisted Tuesday Challenge blog and check out the details! Who knows, Melina might just "twist" your arm and convice you to apply for a position on her design team! I don't own many religious stamps - I know! It's hard to believe isn't it? 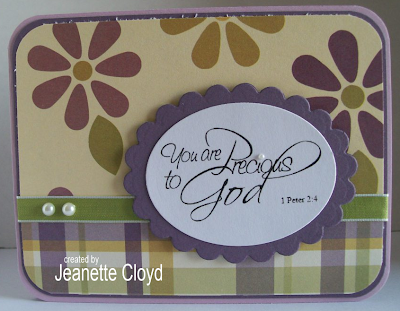 Sooooooooo when Kelly posted the February theme for our Sisterhood of the Traveling Cards swap (faith-based images, sentiments, Scripture, etc. ), I thought... hmmmmm... should I go shopping for a new stamp. I decided not to do so. 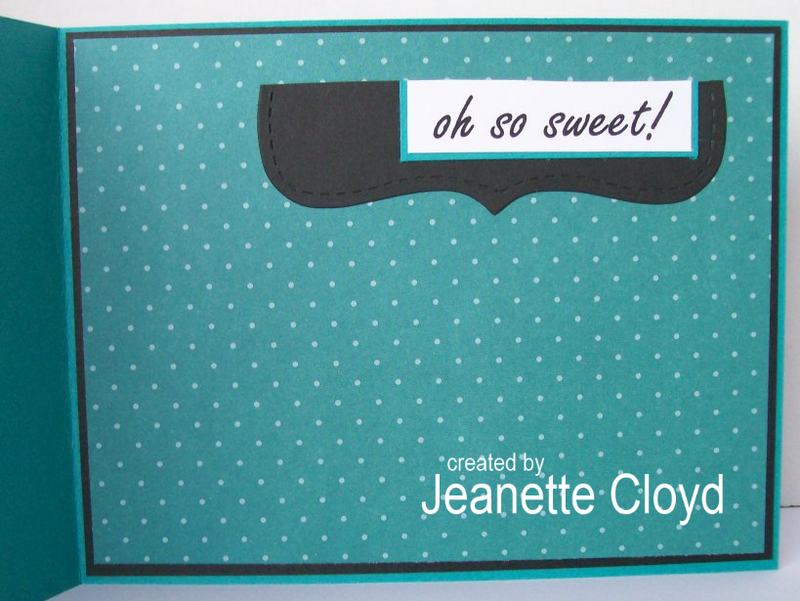 Instead, I searched for a digi image and found a freebie that I love! You really should check out the Each Card Tells a Story site... she has some other freebies, too! There's nothing quite as invigorating as a good laugh! I love to giggle! I love to belly laugh! I love humor!!! 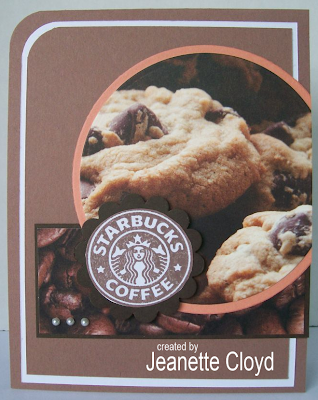 Sooooooooo, I joined April's Humorous Card swap over on SCS. There were so many images/stamps to choose from. I finally went with Grey, a rubber stamp from American Art Stamp Company. I hope April gets a laugh out of it! 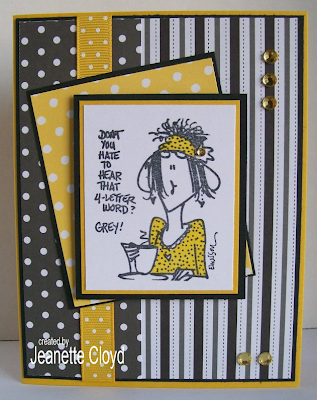 Image: American Art Stamp Company "Grey"
I'm not sure I mentioned it here in my blog, but about a month ago I joined another blog group, the Crafty Gals. 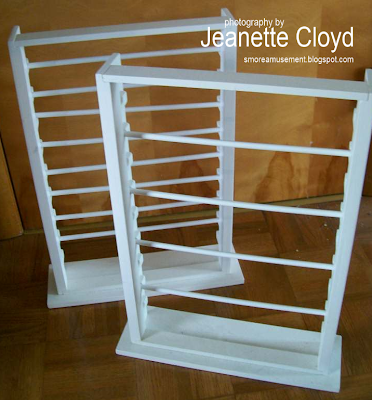 You have probably noticed the blog roll in my left sidebar, with links to their blogs. I am so excited to be part of this group for a multitude of reasons. One of my favorite things about the Crafty Gals is that on the 5th of each month, we have a Blog Hop, with one of the gals giving the guidelines for that month's hop. I went with a CAS look. I actually kind of like it. 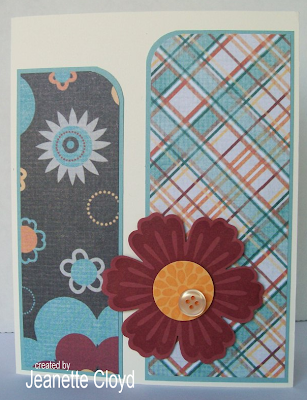 I think rounding just one corner of the card added quite a bit to the design, too. 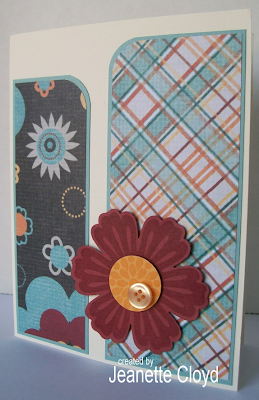 Be sure to go check out the other Crafty Gals Blogs! I'm sure they've created some gorgeously green projects! Are You Ready for a New Craft Us Crazy Challenge?